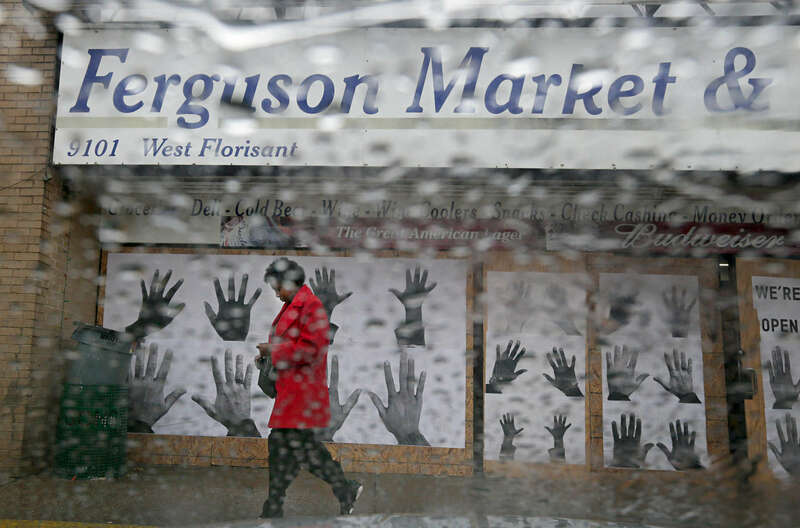 Lisa Johnson, 49, from Northwoods, walks out of the Ferguson Market & Liquor store on West Florissant Avenue in Ferguson on Sunday, Nov. 23, 2014. "They're not going to make the right decision" said Johnson expressing concern about the grand jury's decision that is expected to be released any day now. "If they're going to continue to kill our children we should be able to sue those officers." Johnson's daughter and three grandchildren live on Canfield Drive.